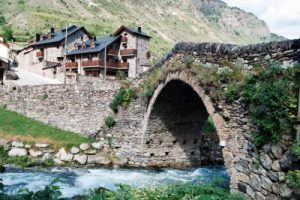 Pyrenees France Take A Break Holidays Accommodation. 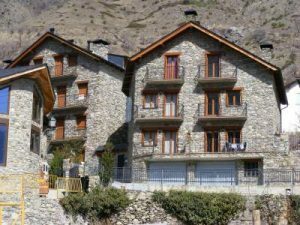 Pyrenees Holiday homes in the Pyrenees for an unforgettable holiday.We offer you the best holiday houses in the Pyrenees at the nicest spots. View our array of holiday homes, bungalows, apartments and holiday parks in the Pyrenees. Score from 393 reviews: Fabulous 8.9 Latest booking: 2 hours ago There is 1 person looking at these apartments. Accommodation from € 50 Average price per night. 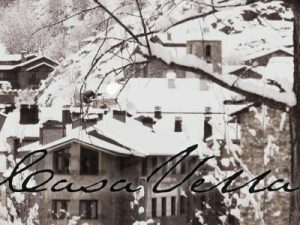 Apartaments l’Arrel is located in Espot, next to Aigüestortes National Park and 2 km from Espot Ski Resort. There is a free swimming pool nearby and it is easy to park near the apartments. More holiday homes All heated apartments have a balcony with town views, and a living room with a sofa and TV. Some have a fireplace. There is a private bathroom and a kitchenette with a fridge, microwave and coffee maker. Towels and sheets are provided. You will find mini markets, bars and restaurants within a 5-minute walk in the town centre. A laundry service is available and there is a tour desk. You can go rafting in Llavorsi, 20 minutes’ drive away. There is a lake 8 km away. Set in Espot, the apartments at Les Picardes are just 1 km from the ski slopes. They offer easy access to D’Aiguestortes i Estany de Sant Maurici Park, less than 2 km away. There is 1 person looking at these apartments. More Accommodation holiday homes Each attractive apartment at Les Picardes has modern décor. There is a seating area with a sofa and a flat-screen TV, and a kitchen with a microwave, fridge and electric hob. Free WiFi is available in public areas. 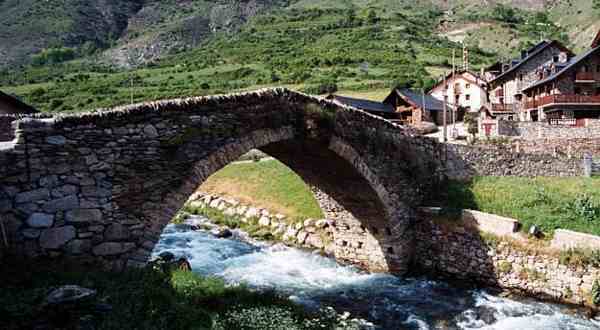 The apartments have a peaceful setting next to Espot’s Roman bridge. The property offers ski storage and private parking. Llavorsí and Sort can be reached in 35 minutes by car. Seu d’Urgell is approximately 80 km away. We speak your language! We have 7 Apartments: available in all. The Leyre Abbey in the foothills of the Pyrenees. The Abbey of San Salvador de Leyre nestles in the foothills of the Pyrenees, from the south (above), and (below) from the west. The only old parts of the Abbey still there are the Crypt and Church dating from the 1000s and 1100s with a somewhat later vaulted roof which replaced the wooden original. The monastery buildings to the south of the church date from the late 1500s. There was already a thriving abbey (including a well-stocked library) on this dramatic site in the mid 800s. In the 900s, 1000s and 1100s the monastery became progressively more powerful and wealthy as it was adopted by the Basque / Navarra Kings as their main church and also became their pantheon. Despite the fact that its abbots were appointed by the King, Leyre also linked up with the Burgundian Abbey of Cluny and became the main (and extremely richly endowed) Clunaic monastery in the Pyrenees. In the 1200s Leyre was flicked to the Cistercians in the wake of an upheaval in the Navarra royal dynasty and an attempt to settle things down on the religious front. But this led to a 70 year struggle between Benedictines and Cistercians, which was only resolved in favour of the latter in 1307. The glory days were over, and the monastery was on a 500 year downward slope that ended up in the general confiscation of monastic properties by the government in 1836. In the 1900s it was the government (of Navarra) who changed roles and came to the rescue – restoring the abbey and monastery buildings so that in 1954 they could be reoccupied – this time by a group of Benedictine monks from Santo Domingo de Silos (who in turn had arrived in Spain from the monastery of Solesmes, NE France, in 1880). Although the Abbey is listed in Cistercian Abbey guides, none of the Cistercian monastery buildings survive, and the existing church buildings, with the exception of the nave roof, all predate the Cistercian takeover.The Pyrenees form an almost unbroken mountain chain from the Atlantic Ocean to the Mediterranean creating a natural geographic barrier between France and Spain. Visit Aude Video (Languedoc-Roussillon, France) Pyrenees. Enjoy a video glimpse of the Aude area (named after the River Aude) – from Carcassonne to the Mediterranean Coast. The Aude is a department (area) of the Languedoc-Roussillon region in the south of France. Locally this department is known as “Cathar Country” after the Christian religious movement that appeared in the Languedoc region of France and other parts of Europe in the 11th century and flourished in the 12th and 13th centuries. Aude is located between the Mediterranean Sea and the Pyrenees mountains. Aude is a very popular area for tourism – great sandy beaches on the coast, skiing, rambling and historic places to visit such as the Carcassonne Cite. Accommodation: from B&B, hotels through to camping is available in the Aude. Inspired by breathtaking views and romantic dreams of finding love in the mountains, Tony Hawks impulsively buys a house in the French Pyrenees. Here, he plans to finally fulfill his childhood fantasy of mastering the piano, untroubled by the problems of the world. In reality, the chaotic story of Tony’s hopelessly ill-conceived house purchase reads like the definitive guide to how not to buy a house in France. It finds him flirting with the removal business in a disastrous attempt to transport his piano to France in a dodgy white van; foolishly electing to build a swimming pool himself; and expanding his relationship repertoire when he starts co-habiting, not with an exquisite French beauty, but with a middle-aged builder from West London. As Tony and his friends haplessly attempt to fit into village life, they learn more about themselves and each other than they ever imagined. Take A Break Holidays takeabreakholidays, Pyrenees Accommodation.